Allan Mitchell of The Athletic: The Edmonton Oilers have some depth on the blueline. They may need to make some decisions on which veterans to move this offseason to create room for some younger players. Adam Larsson has two years left on his deal and would get some trade interest. The new GM could consider moving Larsson for a scoring winger, then trading for a puck-moving defenseman like Tyson Barrie. Ryan Nugent-Hopkins contract expires after the 2020-21 season. If the Oilers held on to him next year, he would potentially be a ‘rental’ the following year. Larsson would be in the same position. Their 2019 first-round pick – eighth overall – could be in play depending on the return. Depending on the price, Darnell Nurse, Matt Benning, Kris Russell and Andrej Sekera could be available. 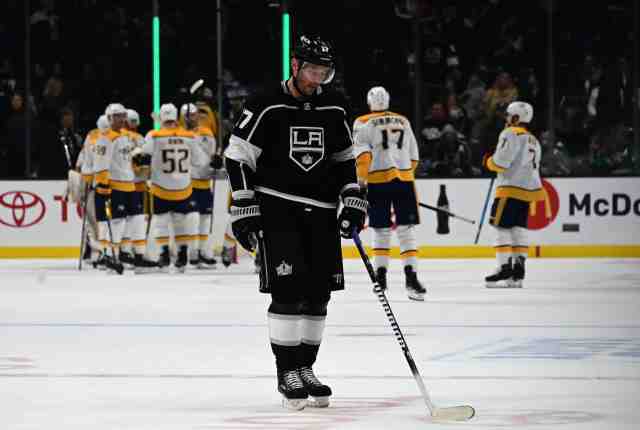 Jon Rosen of LA Kings Insider: Los Angeles Kings forward Ilya Kovalchuk did get some interest from Eastern Conference teams before the trade deadline. Kovalchuk carries a $6.25 million salary cap hit for another two years, but after the bonus he receives on July 1st, he’ll only be owed $4.95 million in salary over the two years. GM Rob Blake plans to meet with Kovalchuk in the coming weeks. Jon Hoven of Mayor’s Manor: The LA Kings will have lots of decisions to make this offseason. They could use some help up front. On some levels free agent winger Artemi Panarin makes sense, but it’s unlikely that it’s going to happen. Can’t expect their 2019 first-round pick to be NHL ready. 2018 first-round pick Rasmus Kupari is expected to start the year in the AHL. Re-signing UFA Jonny Brodzinski may not be at the top of their priority list. He may get several offers come July 1st. Jeff Carter is a good candidate to be traded this offseason. Trevor Lewis is another forward that could be on the move this offseason and he will generate some interest.